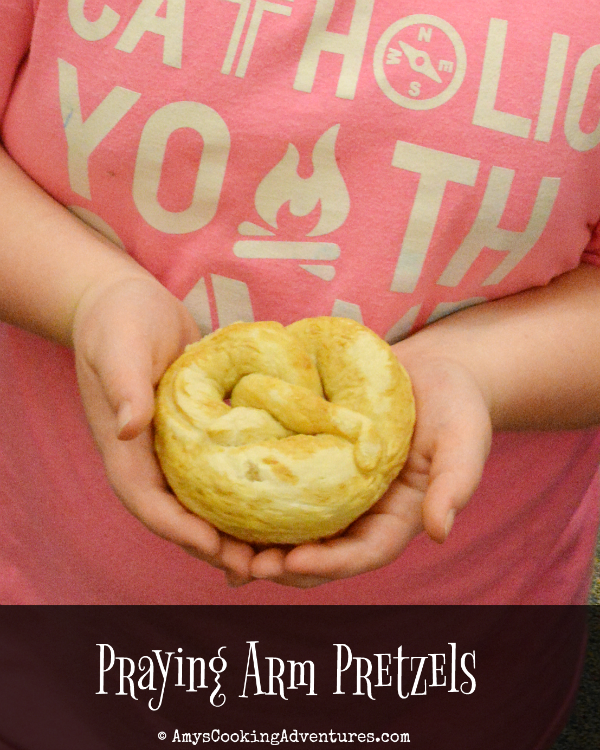 Praying Arm Pretzels are a wonderful Lenten tradition for kids! I always loving doing fun, food related activities with my kids. This year, since I’m teaching 3rd grade, I get to take those fun activities to the classroom! And since I’m teaching at a Catholic school, I can really make Easter and Holy week faith based. For yesterday’s Holy Week lesson, I brought bread baking to the classroom! After lunch, I introduced the Legend of Pretzels. According to legend, a Catholic Monk wanted to motivate children to learn their prayers. Since people at that time prayed with their arms crossed over their shoulders, he made the school children pretzels as a reward for learning their prayers. 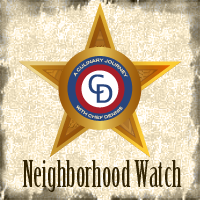 Additionally, the word “pretzel” may have its roots in the Latin word, “pretiola” meaning little reward! 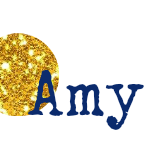 For a bit more info and a cool printable, click here. Oh, and as an added bonus, pretzels, divided into three sections as they are can be a great teaching tool for the Holy Trinity (the Father, Son and Holy Spirit as the three persons in one God). After discussing the history of pretzels, we moved into a science/math/cooking lesson and made our pretzel dough. I did the mixing, then had the kids each take a turn kneading. 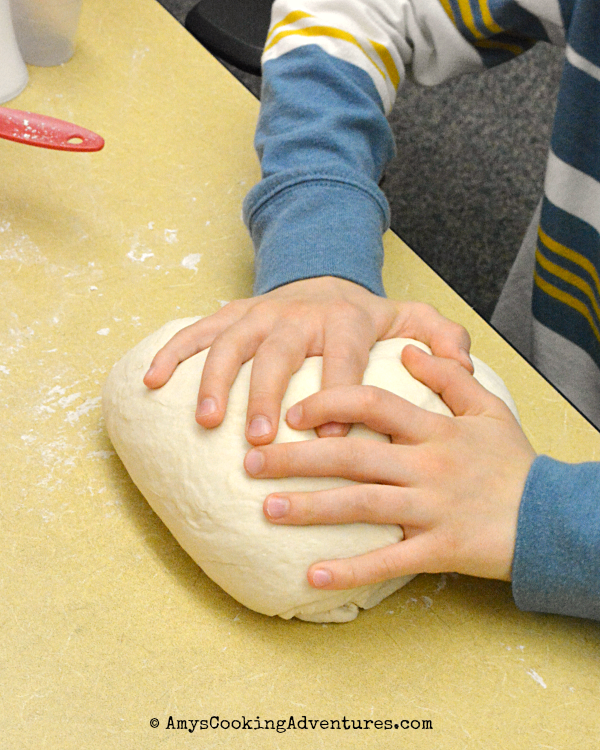 While the dough proofed, we learned about fractions in math. It was perfect, since after we punched though dough down, the dough needed to be divided into 16 equal portions! 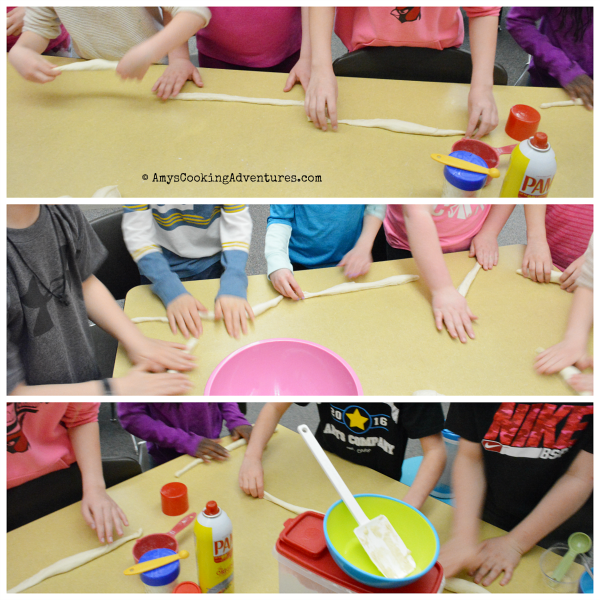 Each child got a dough portion to roll into a rope and shape into a pretzel. The kids dipped the pretzels in the baking soda wash and we dashed to the kitchen to bake! The kids ran around the gym, burning off some excess energy while our pretzels baked. After they were done, the students got to each their pretzels. This was an amazing lesson and I was so happy I could share it with my class! In a small saucepan, combine the ½ cup water and 2 tablespoons of baking soda. Turn the heat to medium-high and bring the pot to a simmer. Stir the water until the baking soda is completely dissolved. Remove from heat and set aside to cool. Place the 1 cup of water, yeast, and sugar in the bowl of a stand mixer. Whisk to combine. Add the salt and flour and mix with the paddle attachment until combined. Switch to the dough hook and knead for 5 minutes or until the dough forms a smooth ball. If the dough is too sticky, add a couple more tablespoons of flour. Place the dough into a lightly greased bowl and cover with plastic wrap. Put the bowl in a warm place and let the dough rise for 30 minutes. Preheat the oven to 500 degrees F and spray several baking sheets with non stick spray. Turn the dough out onto a lightly floured surface and divide into 8 equal parts. Let the dough rest, lightly covered for 3 minutes. Pull each section of dough into a long, thin rope and shape into a pretzel. 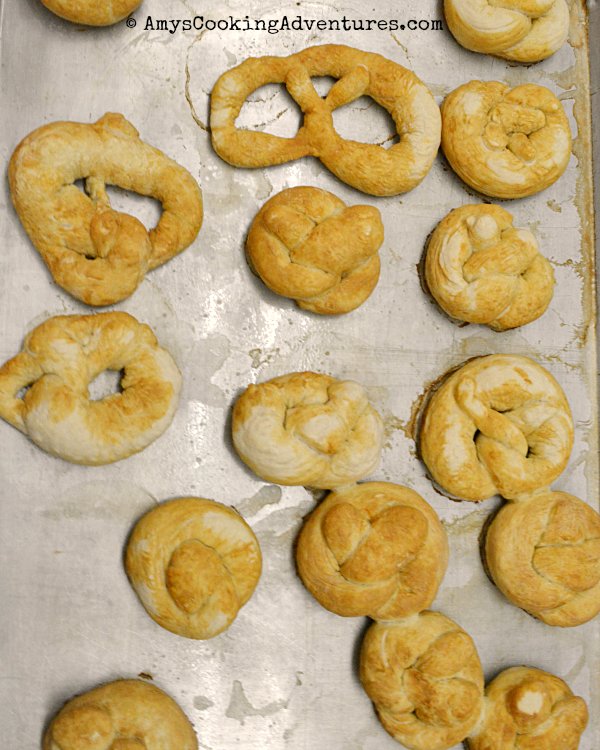 Dip each pretzel into the soda wash and place on the prepared baking sheets, reshaping as necessary. Let the pretzels rest for 10 minutes. Bake the pretzels for 8-10 minutes (5-6 for convection ovens) or until deeply browned. What a great lesson for the kids! I am sure they loved the hands on learning! What a wonderful teacher you are!!! Loved learning that history of pretzels! The pretzels look great too! I'm sure the kids enjoyed the lesson and the pretzels. It's great you can make it fun for them. I love this idea for so many reasons. I think I'll have to do this next year with my Sunday School kids. Last Sunday we made the communion bread that will be served tonight at the Maunday Thursday service. Oh my goodness, I love everything about this!! Definitely going to do this learning tactic with my boys when they're a little bit older. How fun! Such a great many lessons with a simple recipe. LOVE that! And love these because they're pretzels and I love pretzel everything.